Comments: The P-39 was an all-metal, low-wing, single-engine fighter, with a tricycle undercarriage and an Allison V-1710 liquid-cooled V-12 engine mounted in the central fuselage, directly behind the cockpit.The Airacobra was one of the first production fighters to be conceived as a "weapons system"; in this case the aircraft (known originally as the Bell Model 4) was designed around the 37 mm T9 cannon. This weapon, which was designed in 1934 by the American Armament Corporation, a division of Oldsmobile, fired a 1.3 lb (610 g) projectile capable of piercing .8 in (2 cm) of armor at 500 yd (450 m) with armor-piercing rounds. 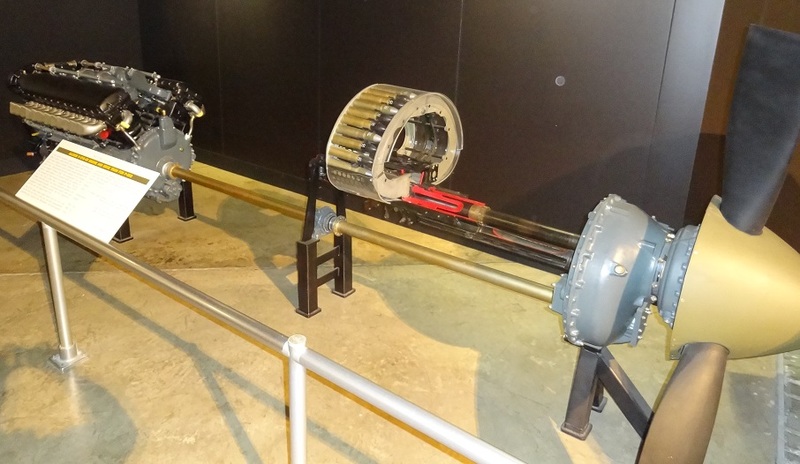 The 200 lb, 90-inch-long weapon had to be rigidly mounted and fire parallel to and close to the centerline of the new fighter. It would be impossible to mount the weapon in the fuselage, firing through the cylinder banks of the Vee-configured engine and the propeller hub as could be done with smaller 20mm cannon. 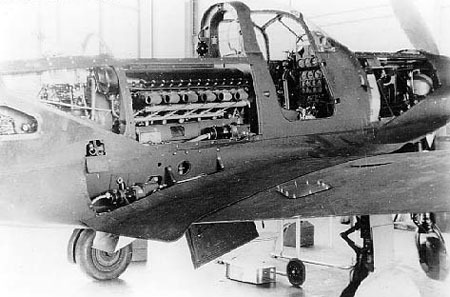 Weight, balance and visibility problems meant that the cockpit could not be placed farther back in the fuselage, behind the engine and cannon. 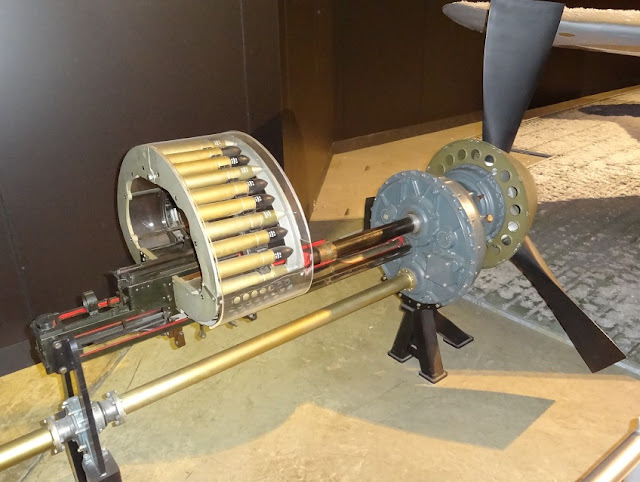 The solution adopted was to mount the cannon in the forward fuselage and the engine in the center fuselage, directly behind the pilot's seat. 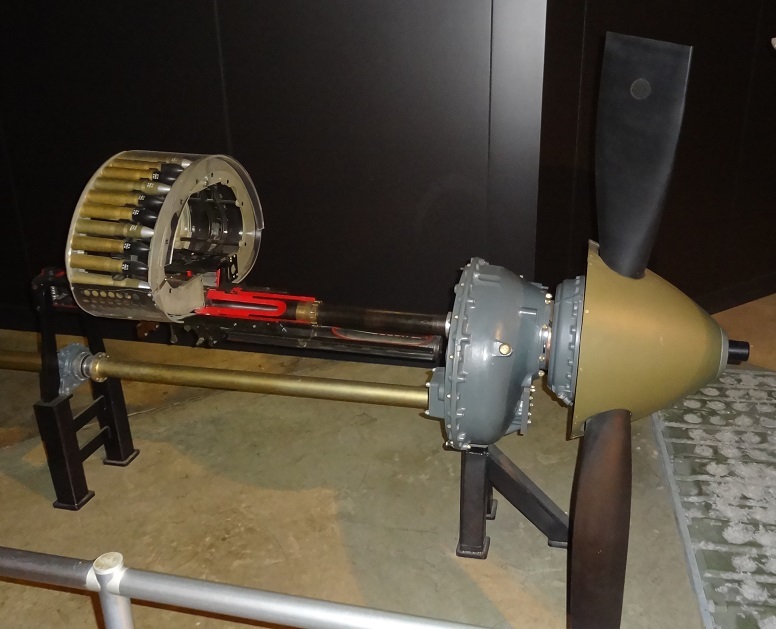 The tractor propeller was driven via a 10-foot-long (3.0 m) drive shaft which was made in two sections, incorporating a self-aligning bearing to accommodate fuselage deflection during violent maneuvers. 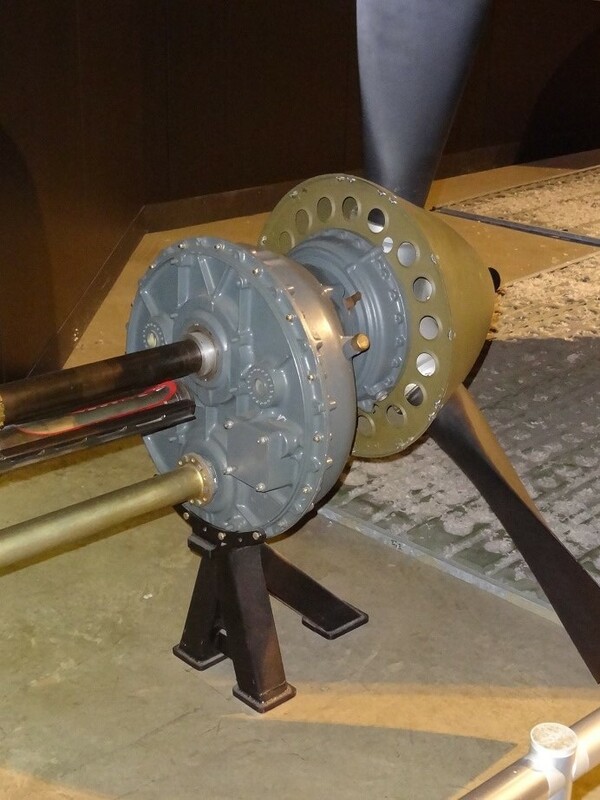 This shaft ran through a tunnel in the cockpit floor and was connected to a gearbox in the nose of the fuselage which, in turn, drove the three- or (later) four-bladed propeller via a short central shaft. 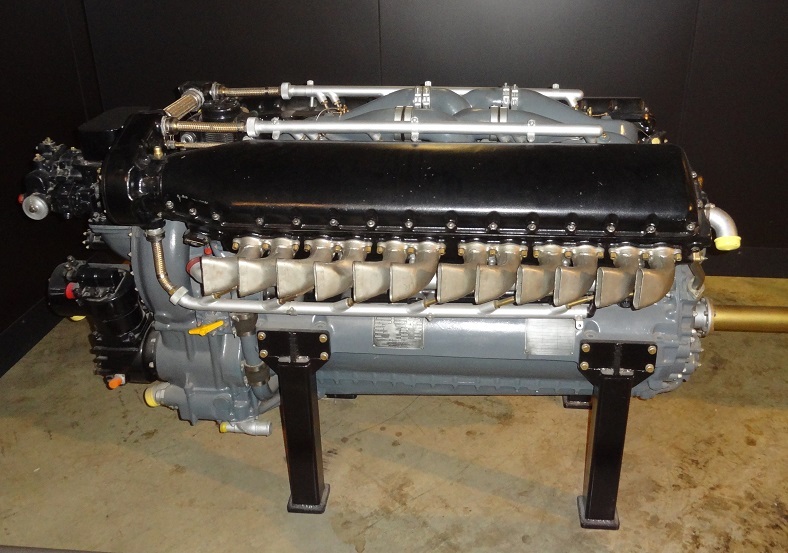 The gearbox was provided with its own lubrication system, separate from the engine; in later versions of the Airacobra the gearbox was provided with some armor protection. 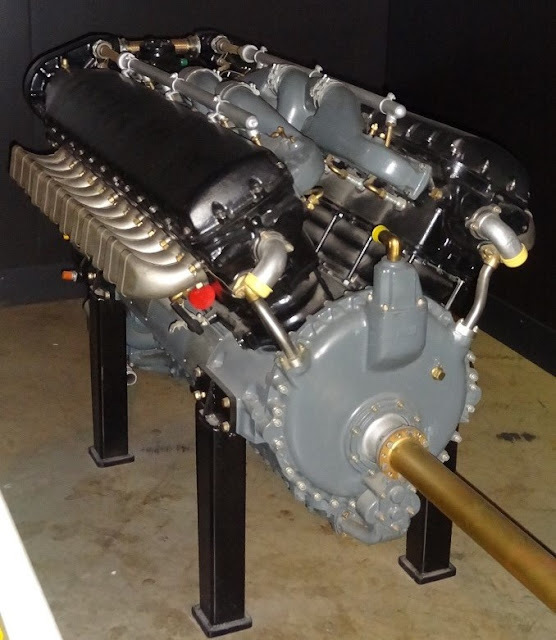 The glycol-cooled radiator was fitted in the wing center section, immediately beneath the engine; this was flanked on either side by a single drum shaped oil cooler. Air for the radiator and oil coolers was drawn in through intakes in both wing-root leading edges and was directed via four ducts to the radiator faces. The air was then exhausted through three controllable hinged flaps near the trailing edge of the center section. Air for the carburetor was drawn in via a raised oval intake immediately aft of the rear canopy.